Of Note: On May 20, 2018, join the Mayor’s Office of Arts and Culture in Boston for Making the Most of Open Studios, a workshop geared toward the power of arts marketing through social media, email, and print outreach. Artists will also learn best practices for presenting their art and capturing the interest of potential buyers. Art, Science Jungle Life, a new Art+Science opportunity happening this June, aimed at creatively exploring the diverse wildlife of South India and Thailand. The ART+BIO Collaborative, an educational nonprofit based in Cambridge, MA, offers various Field Studies of Art+Nature. They integrate art and the life sciences via public engagement, education, and research. They value diversity and inclusion in the arts and sciences, and design novel travel programs for artists, scientists, students, educators, professionals and for anyone interested in integrating nature, art, and biology in the wild. Learn more. Call to Artists Artist Market at Open Arts Day at the Mosesian Center for the Arts in Watertown. Artists can sell artwork or handmade goods at their inaugural Artist Market during our annual Open Arts Day Festival on Saturday, May 5th from 10:00am to 3:00pm. They have 10 tables available at a special rate of $25 per table. You keep 100% of the proceeds from the sale of your work. Past festivals have seen over 1,000 attendees over the course of the day. We will review applicants on a first come, first served basis. Please email Visual Arts Coordinator, Beth Dalal at: bethdalal@mosesianarts.org the following information: full name; short paragraph explaining your work including your price point range; website and social media links; 3 photos that represent the types of products you will be selling; photo of past table or booth set up if applicable. Call to Artists Is your studio overcrowded? Old, experimental, classroom or unsold work piling up, lonely for a new home? You’re invited to participate in the Post Office Gallery CLEAN OUT THE STUDIO SALE! Eligible items (original work only) include: Paintings – Framed or Not, Drawings, Pottery, Jewelry, Empty Frames (in new condition only, please). Artists will receive 70% of the sold price. Post Office Gallery will retain 30%. Prices should reflect the spirit of a clearance sale and should be significantly discounted from regular pricing. An inventory list must be included showing Title, Price, Medium, Artist’s Name (Forms provided). Please drop off and pick up on designated days. The Gallery cannot store work prior to or after the sale dates. Drop Off: Sunday May 20, 11am-3pm. Pick-up: Saturday June 2 11am-3pm. The Sale runs Memorial Day Weekend, May 26-28, 2018. Post Office Gallery, 38 Shore Road, North Truro, MA. Questions, contact director@postofficegallery.com. Poets Boston Review is currently accepting entries for their Poetry Contest. The winner of Boston Review’s Poetry Contest, judged by Mary Jo Bang, will receive $1,500 and publication. Learn more. Funds for Nonfiction Films Massachusetts film/video artists, do you have a feature (40+ min) nonfiction project in development? Apply for the LEF New England Moving Image Fund’s Pre-Production Grant. Learn more and apply. Short Story Enrties are now being accepted by Salamander press for an annual prize of $1,000 and publication for a short story. Submit a story of up to 30 pages. All entries are considered for publication. Learn more. Call for Art The Gallery Committee of Reuben Hoar Library in Littleton, MA invites artists to submit their work for the October 2018 to October 2019 season. The gallery space is available for artist’s shows nine months of the year. Various media is welcome, but due to the gallery’s location only framed & wired work can be considered. Artists need to submit a minimum of five samples of their work, an exhibit application and a waiver. Please submit to: chardy-faraci@littletonlibrary.org. Learn more. Artists & Writers Residency Fellowships The Vermont Studio Center is currently accepting applications for their artist & writers residency fellowships. Learn more. 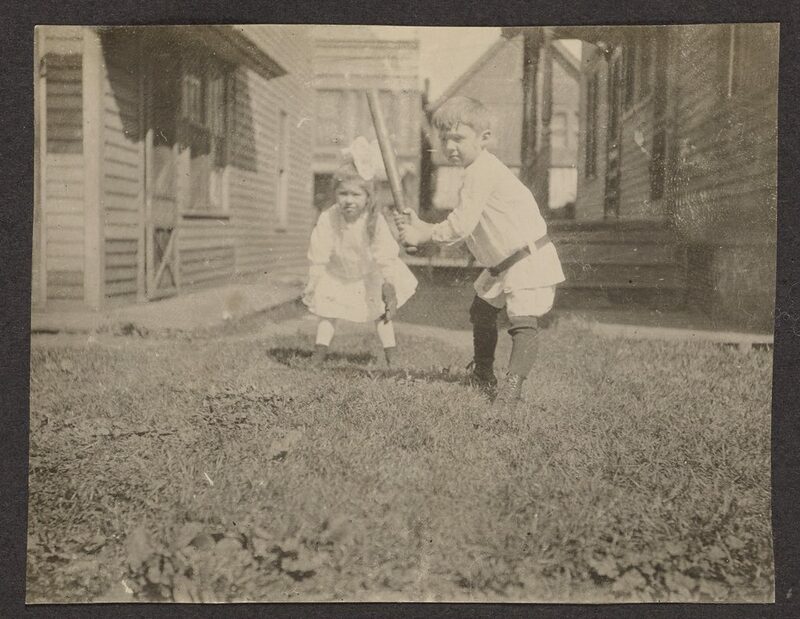 Image credit: Unknown, photographer, [Boy and girl playing baseball], about 1915 – 1931, Gelatin silver print, 7.7 × 10 cm (3 1/16 × 3 15/16 in.) From the collection of The Getty Museum.